The sumptuous Cadogan Hall hosted the fitting finale to this year’s London Jazz Festival, a recreation of Thelonious Monk’s famous New York Town Hall concert of 28th February 1959. Charles Tolliver, who had attended the original concert as a teenager, conducted and added occasional trumpet. In a neat touch, the band set up in the same configuration as the original concert – rhythm section on stage right, horn section stage left. Tolliver also stuck closely the original Hall Overton/Monk arrangements. Pity the poor pianist stepping into Monk’s shoes. Jonathan Gee had his work cut out and he was close to parody in the early stages but improved steadily as the evening went on. A solo rendition of ‘In Walked Bud’ led to rather low-key small-group takes on ‘Blue Monk’ and ‘Rhythm-A-Ning’. Predictably the show came to life when the big band entered for ‘Thelonious’, though Rod Young’s backbeat during the solo sections was a high-risk choice. Randy Brecker lookalike Neil Yates played a blinding trumpet solo on ‘Friday The 13th’ and ‘Monk’s Mood’ was majestic. I almost felt like I was hearing its intoxicating harmonies for the first time. Tony Kofi delivered the first of several superb baritone sax solos on ‘Off Minor’ and the horn section made a good fist of the famous tutti section at the back end of a riproaring ‘Little Rootie Tootie’, originally transcribed by Overton from a 1952 Monk solo. The encore of ‘Brilliant Corners’ was a surprise but a brave attempt, starting out as a funereal ballad a la Carla Bley but shifting mid-tune to high-speed bebop. A relative who overheard me playing the original album that day had said, ‘Did Monk have to sell out a bit on this?’, a deceptively astute comment. 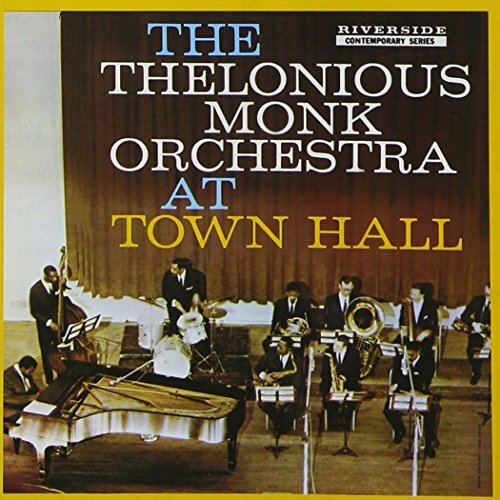 The original concert was not well-reviewed, and this re-version seemed to reveal the same strengths and weaknesses – some great soloing and highlights in ‘Monk’s Mood’ and ‘Little Rootie Tootie’, but also a strangely inert rhythm section and at times unwieldy construction of Monk’s timeless themes. A few days earlier, at the same venue, there was a collaboration between acclaimed Brit pianist Kate Williams and the Guastalla String Quartet. ‘Love For Sale’ was intriguingly reharmonised with the strings playing the head. Jobim’s ‘Portrait In Black And White’ was reimagined as a stately tango with the string section fluttering under Williams’ intricate piano solo. Her own tune ‘Eleven Tonal’, based on Bill Evans’ ‘12 Tone Tune‘, led to a strings-and-bass take on Evans’ own ‘B Minor Waltz’. Further originals ‘Round Trip’ and ‘Big Shoes’ were fine compositions. This was a refined, austere vision of jazz, with no amplification. In general the drums were too loud and strings too quiet, probably not a great surprise to anyone. A day later, ECM-signed Swiss pianist Nik Bärtsch brought a new group composition and solo piece to the Wigmore Hall, alongside works by Sarah Kirkland Snider, Judd Greenstein and Mark Bower, winner of the Britten Sinfonia’s recent competition for unpublished composers. The eminently charming Bärtsch started the lunchtime gig off with a fascinating interview during which he quoted Morton Feldman: ‘When I feel my foot tapping at a classical concert, I leave the room’. It stayed in the back of my mind throughout the concert while totting up the benefits or otherwise of ‘groove’ (or, put another way, repetition) in ‘classical’ music. Sadly, the compositions, featuring different configurations of the Britten Sinfonia alongside Bärtsch, didn’t quite deliver. Kirkland Snider’s ‘Pale As Centuries’ was the standout, based on a beguiling five-chord melody subtly amplified and developed by the guitar/piano/acoustic bass/oboe/clarinet lineup. Bärtsch’s solo was a ‘systems’ piece making good use of the venue’s sumptuous Steinway grand, beginning with a forensic investigation of one-note harmonics before moving into a densely-clustered generative section. The spectre of Still Life (Talking)-era Pat Metheny Group via Steve Reich hung over Greenstein’s jaunty ‘City Boy’ and unfortunately Bärtsch’s new piece ‘9_3_7’ was minimalist overload featuring an irritatingly slow-moving melody. All in all, the event was a curious if occasionally diverting choice for a LJF concert despite Bärtsch’s winning enthusiasm.